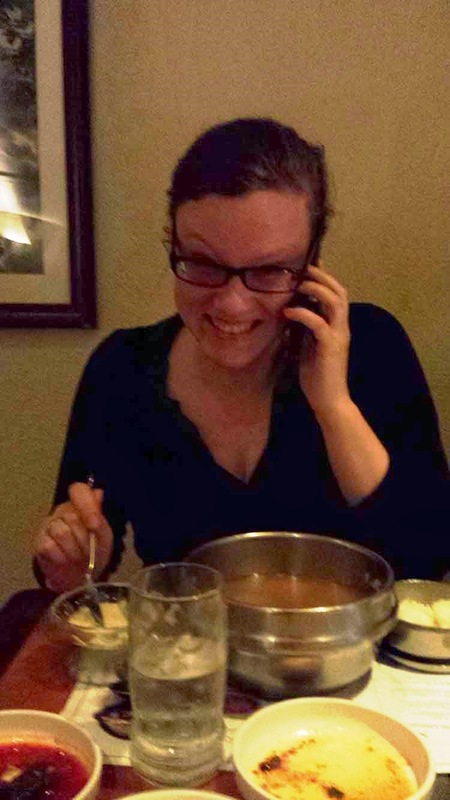 Danielle on a very important business phone call right after dinner. 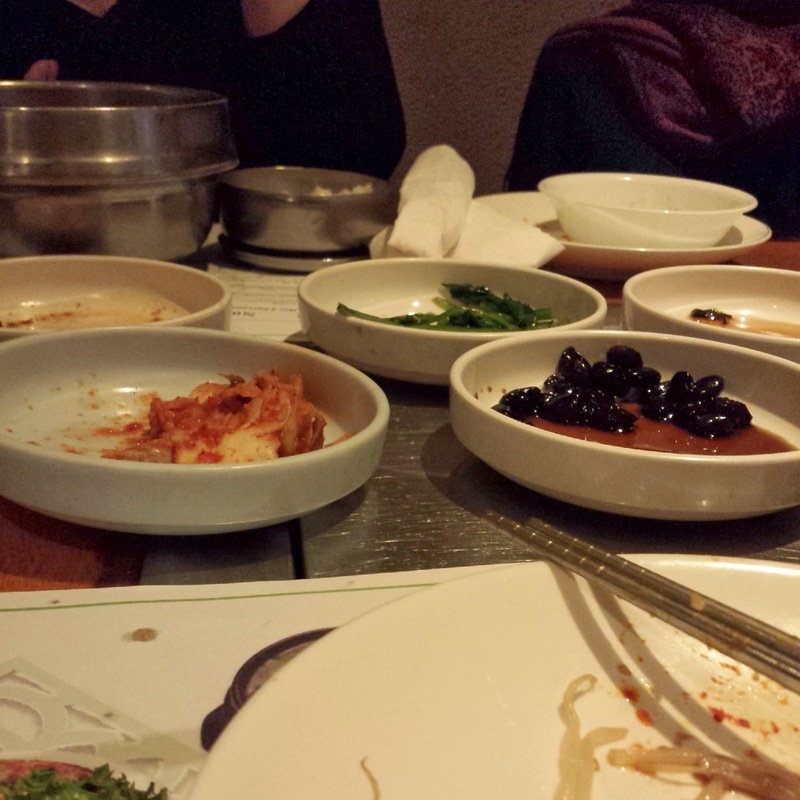 Many plates of side dishes. The musical itself was really lively, and tells the story of a girl with a massive facial scar trying to get to a healing preacher to become beautiful. Because it was a dress rehearsal, when there was an error with the audio toward the end of the show, they stopped it, cleared the stage, and fixed the error, which was actually really interesting to see. It was also great to see the show with this particular group of people, since everyone knew someone involved in the production, and so it was a really excited and supportive audience. I'm in awe that we have so many talented friends who give me the opportunity to see things, like this show, that I would never be able to see otherwise! A really fantastic time. Thanks so much to Danielle for inviting me!